The Showtime television series Nurse Jackie can teach you everything you need to know about addiction. OK, maybe I’m exaggerating a little. 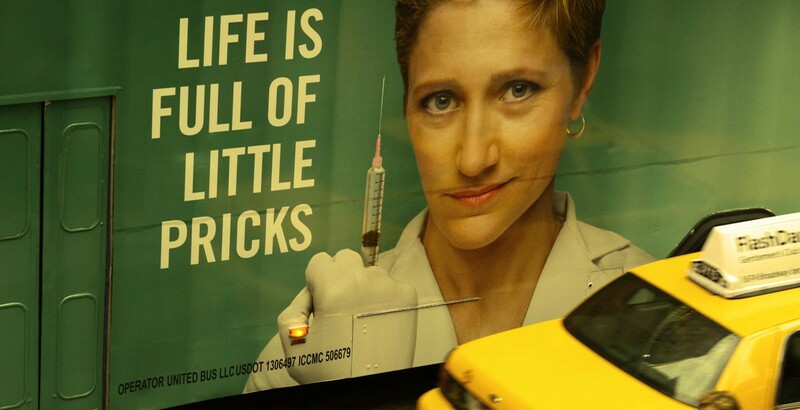 Maybe you can’t learn everything about addiction from Nurse Jackie. Still, as your Addiction Guide and someone who’s been in and around recovery and working in the substance-abuse treatment field for the greater part of the last 20 years, I can say that the show covered a lot of ground about addiction and recovery. Here are some of the points that the show made—and made well. Forget the stereotype of the person with addiction as someone passed out in an alley. A person can have an addiction and still be a successful professional, an involved parent, or the leader of an organization. In fact, many high-functioning people with addiction will say (like emergency-room nurse Jackie Peyton did) that, at first, the substance seems to help them function in their role. I don’t know about you, but just like Jackie’s friends O’Hara and Zoey, I grew to really like her. Even when the character did terrible things, I found it hard to stop liking, caring about, and rooting for her. Sure, actress Edie Falco gave a stellar performance, but her portrayal was one friends and loved ones of people with addiction could relate to. In the character Jackie Peyton, she gave us a person with addiction who meant well, did heroic and kind things along with terrible things, and suffered immensely as she went from a person who used drugs to cope to a person who could not stop using drugs once she began. Even when her actions made me cringe, I never stopped hoping she’d recover and get the better life she kept hoping and striving for. It can be so painful that it’s sometimes necessary to distance yourself. Over the course of its seven seasons, everyone who cared about Jackie was harmed, directly or indirectly, by her drug use. There was collateral damage everywhere that Jackie went—whether it was her husband’s painful discovery of Jackie’s secret life, the children having to adjust to her decreasing availability, O’Hara finding out that her best friend had lied to her and put her medical license on the line, or Eddie (the hospital pharmacist) having to hear Jackie acknowledge that she was with him, at least in part, to get drugs. Remember that scene in the chapel when a devastated O’Hara murmured to Jackie as she was walking out, “You broke my heart”? And when Zoey, who had idolized Jackie, no longer wanted to work with her, you could see how the cumulative effect of all the betrayals and disappointments had led her to this stance, and you hurt along with her. Didn’t you want to cheer when Jackie finally checked herself into rehab? Not that she had an easy go of things, by any means. The difficulty of her detox was portrayed realistically, as was the work in treatment that it takes to begin facing one’s addiction-related problems. I liked the portrayal of the counselor, too—tough, compassionate, and impossible to manipulate. You could see her disappointment when Jackie left without completing the program. She knew it didn’t bode well, as did I. Jackie appeared to have made sincere steps in wanting to help herself; yet, she also still clearly saw herself as a special case, someone for whom the usual rules did not apply. During Jackie’s tenuous first year of recovery, things went wrong—all kinds of things. Sometimes, drastically so. Jackie complained to O’Hara more than once that she got clean and “things got worse.” And while O’Hara reminded her that this was not technically true, there were aftershocks and consequences from Jackie’s previous using days to cope with, along with the same kinds of day-to-day stressors that any of us can have at any given time. But Jackie was now without her go-to chemical helper, and she struggled valiantly against the urge to numb herself under duress. Jackie loved her two daughters and really wanted to be a major part of their lives and a good role model for them. So it devastated her when her older daughter, Grace, started acting out and using drugs. Despite having fought hard to keep shared custody of the girls, Jackie came to the hard conclusion that taking care of them at this point was a risk to her own recovery and was possibly exacerbating the problems her daughter was facing. So she voluntarily turned custody over to their father. Not every Solo Mom has a coparent or other family member to take over parenting responsibilities, nor would this be the ideal arrangement for every situation. But the depiction of Jackie’s struggle to parent well during the tumultuous period of early recovery is something most Solo Moms with addiction can relate to. When you have an addiction, loving your kids, your job, and your friends is not enough if you are not taking care of your recovery. After rehab, Jackie tried hard, resisted temptation often, and took numerous important steps toward staying clean and sober. But there were things she did wrong as well. She didn’t stay connected to a recovery support system, for instance (though we periodically saw her going late to or leaving early from a self-help meeting), and she was not fully honest with the people who were closest to her. Ultimately, she failed at one of the most important aspects of recovery/relapse prevention: avoiding high-risk situations. Jackie had been keeping a single pill in a box by her bed. The box, which was ultimately discovered by her daughter, was an expression of the part of her that still wanted to be using. Good relapse prevention means putting buffers and space between you and a possible temptation or weak moment. When she popped that pill just before celebrating one year of recovery, it was sad, but it was to be expected. She was going to have to get rid of that pill, or she was eventually going to take it. Most anyone involved in recovery will tell you that a secret pill, drink, or stash is a relapse waiting to happen. Once you’ve lost control over your substance use, unless you get help and then work hard to stay the course in recovery, things are likely to go from bad to worse. Viewers might debate about what actually happens in the somewhat ambiguous end of the series finale. But whatever your opinion is—that she dies of the overdose (which is how I see it) or that she survives—life as she knew it is over. And so it goes. We lose good people to addiction every day, which is why it’s so important to share what we know, do what we can, and support one another around addiction and recovery concerns. Addiction builds on itself, but so does recovery. Solo Moms who understand the terrain of addiction and recovery need one another. As ESME’s Addiction Guide, I encourage you to spend some time here, discuss your experiences and views, and share articles or resources that you think might be of use to someone else. You are not alone, and your experiences with addiction and recovery matter. You will find others who share your same challenges in our confidential community of Sisters.